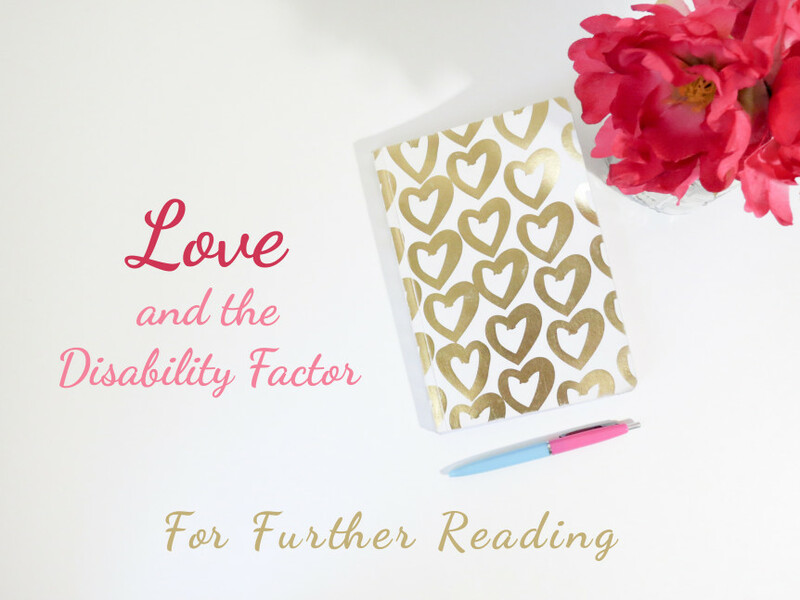 When it comes to the longing for love, I’m not the only one with fears related to the disability factor. I’m not alone in feeling this dream of mine can seem impossible. I’ve read books and blogs, and emailed a few. Other people with disabilities admit similar insecurities. There are also stories of marriages involving disability that are beautiful, strong, and thriving. We need to see it is okay to carry these fears. We also need to know what to do with them and how to keep the right amount of hope alive. “I was used to suddenly becoming invisible to someone I was interested in. Most men can’t see past the chair.”…He listened to the smarter half, walked over, and introduced himself. “I felt like I was crossing a barrier I didn’t even know was there,” Stephen said.